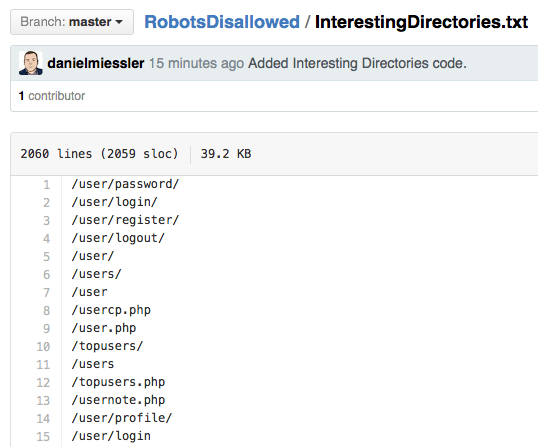 I just published RobotsDisallowed, a Github project that finds the most common Disallowed entries in the robots.txt files of the worlds top 100,000 websites. I have it broken down into Top-n lists that pull out the top 10, 1000, 10000, etc. directories listed—in case you’re pressed for time on your assessment. The other lists are great to have, but if you’re looking to find the highest value hits in the shortest amount of time, this is probably the list to use. The RobotsDisallowed project is located here. The purpose of this project is to help legitimate web testers find vulnerabilities before the bad guys do. Protip: the bad guys are already doing this. Improvement ideas welcome! I’ll put you in the credits. 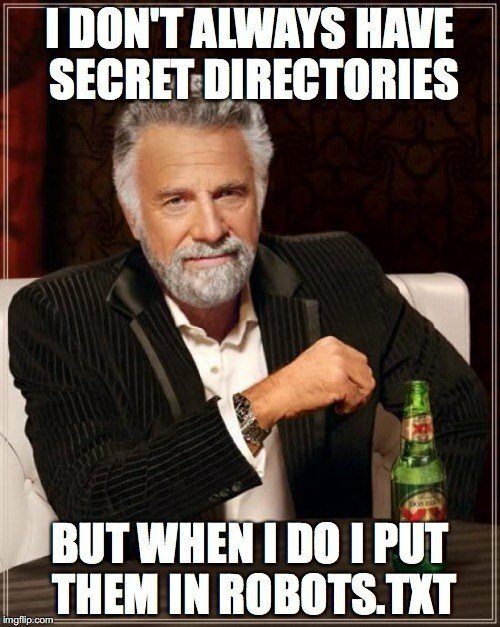 Looking for more good strings to improve the InterestingDirectories list, among other things.